Harlo Is Now A Dual Australian and New Zealand Champion! 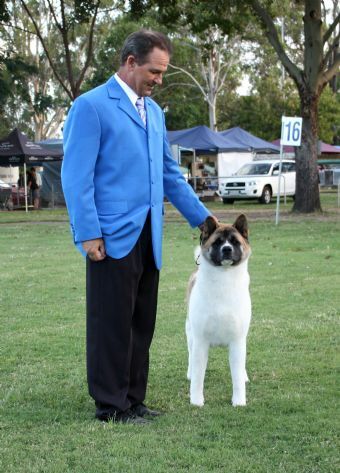 This Beautiful Girl has been sent to us by our dear Friend Margaret Hippolite of the world renowned KODO AKITA Kennels of New Zealand. "Harlo" joins her litter sister "Honour" to live and be loved by us. 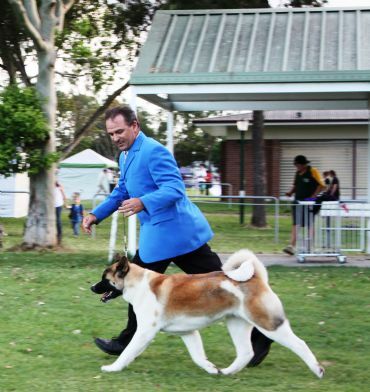 Craig and I hope to have some fun with Harlo she has striking colour,powerful and correct movement and the most beautiful Akita feminine head piece. Already a New Zealand Champion from a very young age we hope to gain her Australian Title soon. Harlo is a real sweetie and is coming along and looking lovely at 21 months. Harlo has has made us all proud in the ring since arriving in her new home ! In a short time with us Harlo has been awarded many Best Of Breed Challenges and has been shortlisted for Group many times. Harlo is back out and in full coat and all her glory! 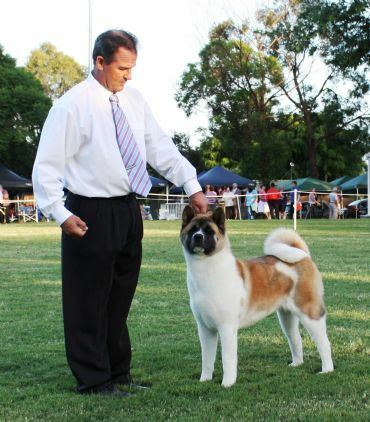 Thankyou Mr Ian Rasmussen for awarding Harlo Runner Up and Intermediate in Group at Isis on the 18th June 2011! Also thankyou Mr B Marquette for awarding Harlo her final points toward her title plus Intermdediate In Group ! Thank you Margaret and Robert for sending us this beautiful girl. Harlo is now retired from the show ring and is busy attending to her maternal duties.